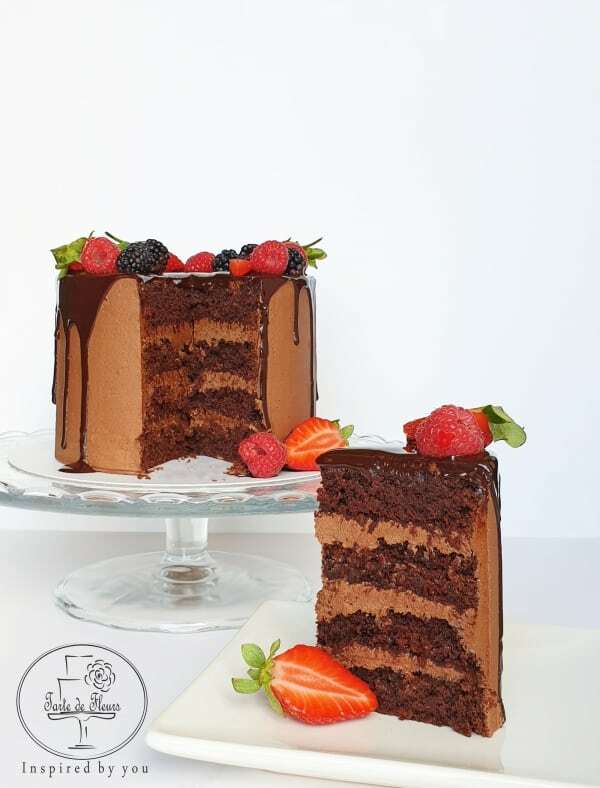 A deliciously indulgent chocolate cake that compromises nothing on taste. 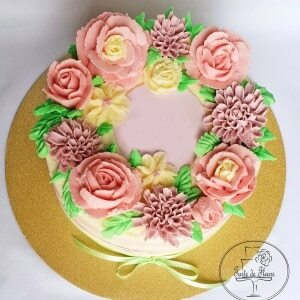 Whether you’re vegan, or dairy intolerant, or you just love a good cake, then this one’s for you! 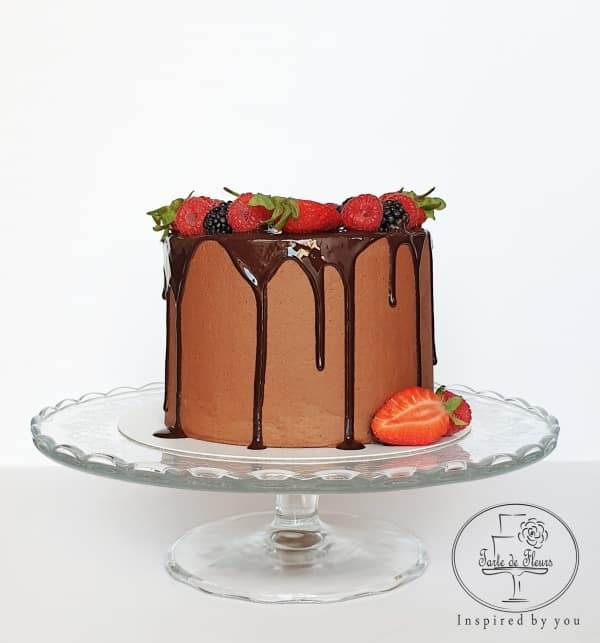 Our vegan cake is perfect for birthdays, celebration or just to satisfy your sweet tooth. This mouth-watering vegan cake, available in 6” and 8” sizes, combines dark chocolate and berries to create a cake worthy of any chocolate lover. 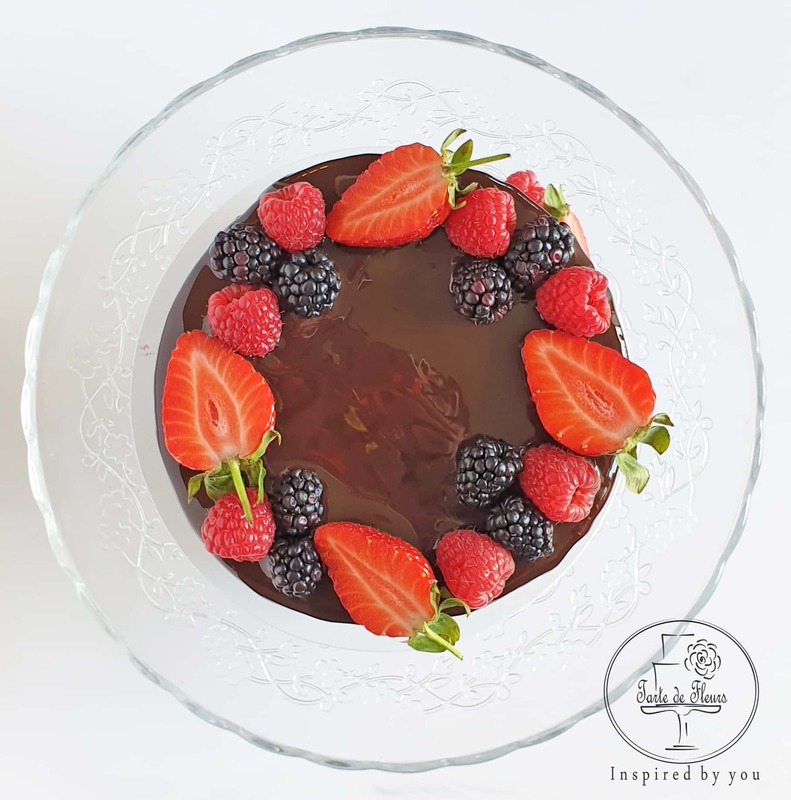 Four layers of moist chocolate sponge, filled with dairy free “buttercream” and then topped with dark chocolate and fresh berries. Our vegan cake tastes so amazingly good that you’d never be able to tell that it’s made without any animal products. Please, allow us at least 48 hours notice when placing your order, to make sure we will be able to create if for you on time! Allergy Advice:This product contain wheat flour! Please be aware that our vegan cakes are baked without any dairy or animal products but are baked in the same environment where these products are used. Therefore, we cannot guarantee that they won’t contain traces of any of the above products. 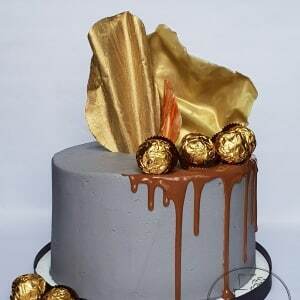 Please store your cake at room temperature in a cool dry place. Ideally consume within 4 days of collection/delivery.